Stephen Baynard joined Weldmar Hospicecare in 2010 and was appointed Chairman in November 2014. Sue had a long career as a Police Officer in Cambridgeshire and Dorset. For the three years before her retirement she was Deputy Chief Constable for Dorset and head of the Police Staff College at Bramshill. Sue has been an active supporter of Weldmar for more than 15 years. Tanya is Bursar at Bramley School, an Independent Girls School and is also member of a subcommittee of the Governing Body at Milton Abbey School. Previously her background was in the Telecare, Social Care and Housing sphere for 20+ years, where she led the growth of Magna Careline Limited to provide support to more than 28,000 vulnerable customers across the UK. Tanya is also a previous Non-Executive Director of the TSA (formerly known as the Telecare Services Association). Viscount FitzHarris has extensive experience in financial management. He qualified as a Chartered Accountant with KPMG in London. He is now a local landowner and farmer. Sue has worked in senior clinical, educational and managerial roles at local and national level, including the NHS, voluntary sector, overseas development agencies and latterly government. As leader of the End of Life Care Team at the Department of Health she oversaw the publication of the End of Life Care Strategy. Sue is currently a Trustee of the People’s Health Trust and is a Lay Member on the NICE ‘End of Life Care in the Last Year of Life: Service Delivery’ Guideline. Clare Heath was a GP in London, with an interest in medical ethics. She has now retired but has an interest in the care of the dying. James, a qualified Chartered Accountant, has enjoyed a distinguished career in the City of London working as an institutional stockbroker, latterly with Credit Suisse. He is currently Weldmar Hospicecare’s Hon. Treasurer. He is also involved with several other Dorset charities. In her professional career Davina trained as a nurse and health visitor and had an extensive career in management within the NHS. 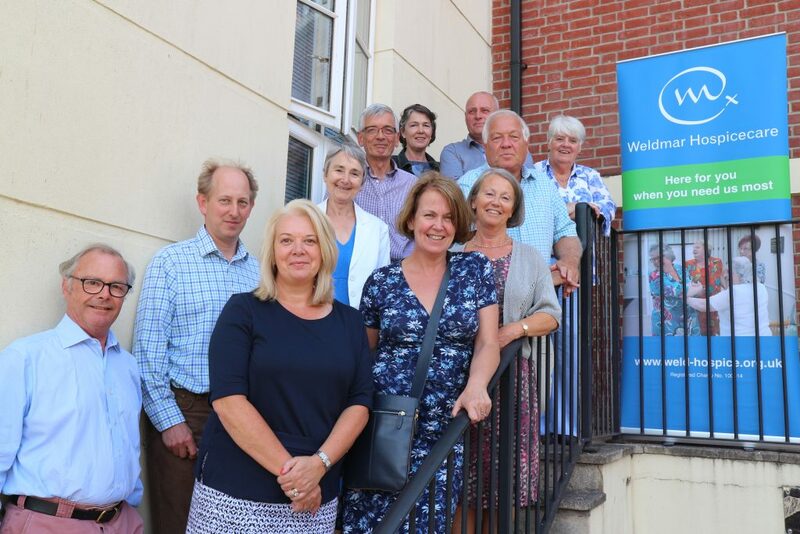 Once retired she served as a trustee of a hospice in Hertfordshire before moving to Swanage where she has busied herself serving on various health committees in a voluntary capacity. Ian has retired from a long career in the NHS where he held a number of Board posts and most recently the role of Human Resources Advisor to the Chief Medical Officer of England as well as providing HR advice to CMOs of the other countries in the UK. He previously worked as a teacher and a management trainer for the John Lewis Partnership. His special interests are staff education and employee relations. Jayne is a Fundraising and Marketing Consultant working internationally with charities and NGO’s. 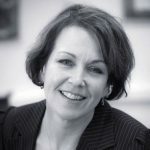 Her marketing career began in retail and she opted to work in the charity sector 25 years ago working most recently in senior fundraising roles for the RNLI and Guide Dogs. Jayne lives in Dorset with her husband and 3 teenage children.